Baby boy Thank You cards! 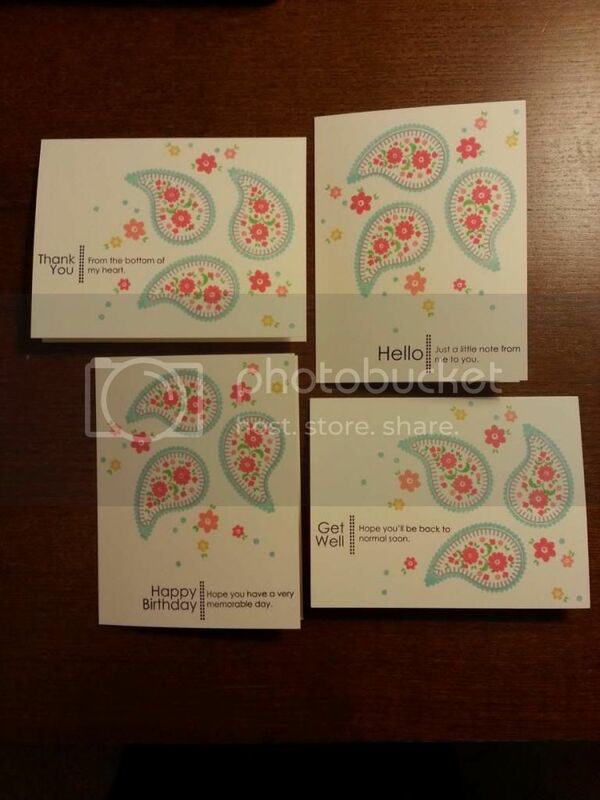 This will be my first post using Inlinkz to show the products I used, as well as showing cards I made. Wish me luck! I LOVE shopping at Simon Says Stamp. They have tons of products from many different companies. 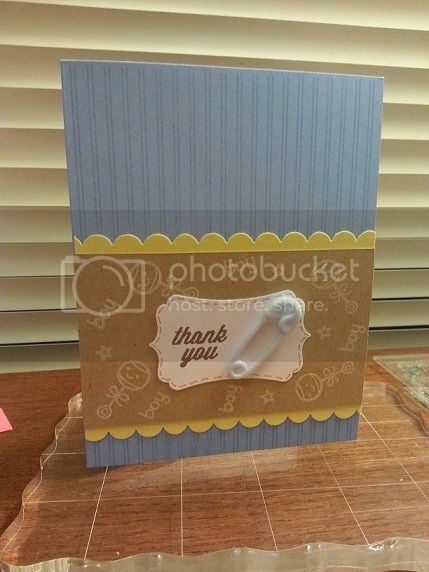 I ran across a post by Jennifer McGuire and shamelessly bought everything to make that card from Simon Says Stamp. Here is my version, and the products are in thumbnails below using Inlinkz! Inlinkz has proven to be very useful as a product list display. I haven’t used it here yet since this is only post number two, but it’s a great way to share the products (with thumbnail photos) you use and links to buy those products. Right now, I’m just building up the arsenal of product links, racking my brain for all of the things I own, and linking to the sites you can buy them from. I find more comfort every day in that idea because I’m always so worried about the number of different company’s supplies I use. I always thought these card bloggers were loyal to one company and that company’s products. But I’m finding that my favorite card makers are all over the place with supplies. I’m excited to try to make this blog something people will follow, and if you do follow it and you’re a card maker, considered me flattered. If you’re a friend and you peek here once in awhile, thank you. If you don’t care about this blog, that’s okay too. It’s a little too specific for most tastes.